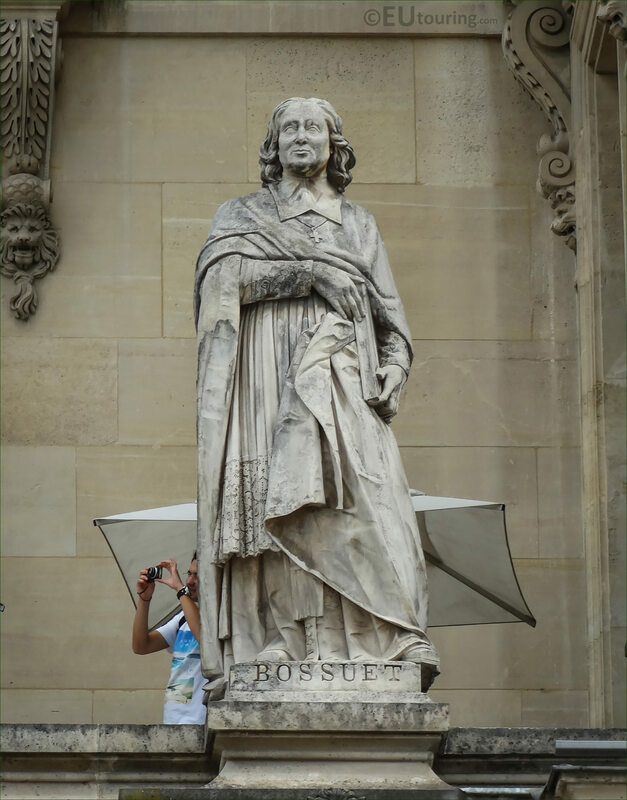 This time while we were within the Cour Napoleon courtyard of the Musee du Louvre in the 1st Arrondissement, we took these high definition photos of the statue of Bossuet by Louis Desprez, which is located on the facade of the Aile Colbert. 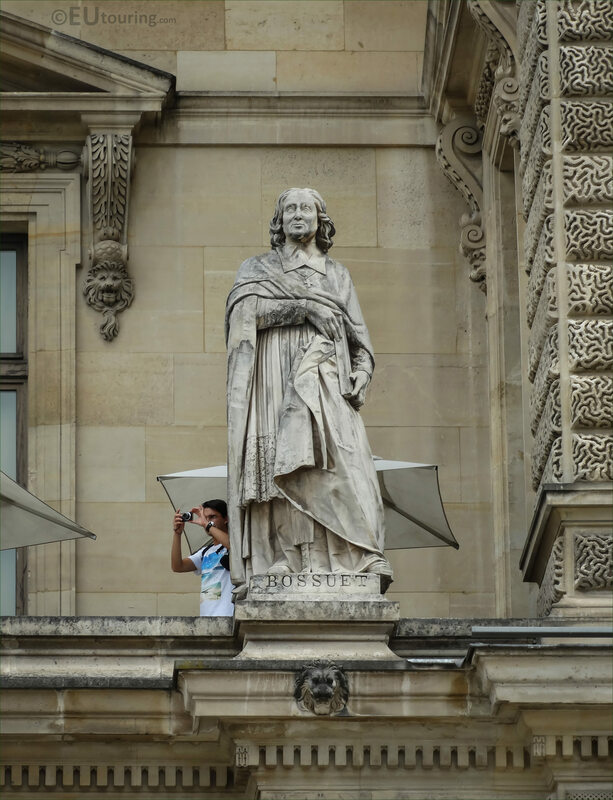 So this first photograph shows the position of the statue of Jacques-Benigne Bossuet located on the first level balustrade of the Aile Colbert wing, and it is situated to the very far right hand side of the facade next to the Pavillon Colbert. Now this statue was produced by Louis Desprez who was born in Paris in 1799 and became a French sculptor and was at one point a pupil of Francois Joseph Bosio, winning the Prix de Rome in 1826 he spent some time there before returning to Paris where he focused on busts and portrait statues like the one in this image. 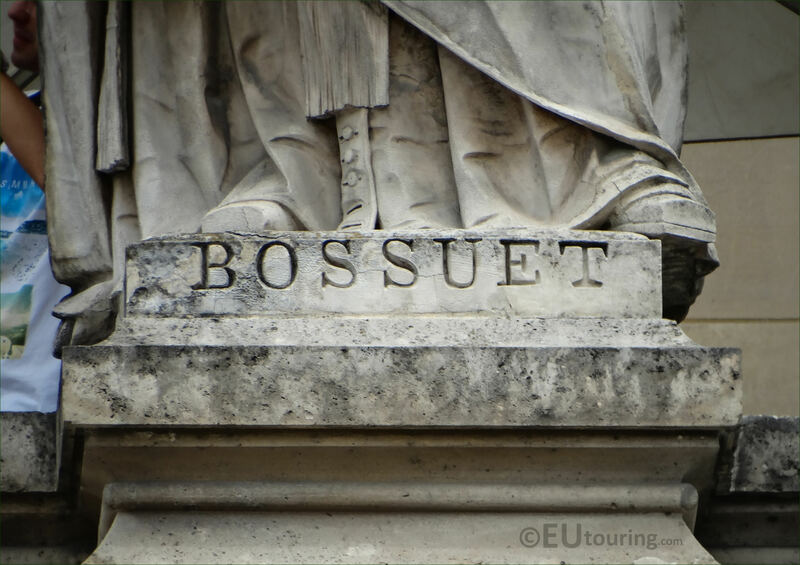 And this last close up HD photo shows the inscription and plaque at the base of the statue dedicated to Jacques-Benigne Bossuet, who was born in Dijon in September 1627, and became a French bishop and theologian and was renowned for his sermons and other addresses, often considered one of the most brilliant orators of all time.